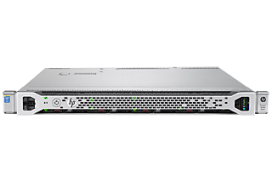 Does your data center need a performance driven dense 1U server that you can confidently deploy for virtualization, data base, or high-performance computing? 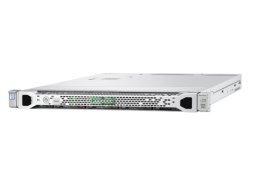 The HPE ProLiant DL360 Gen9 Server delivers a 1U chassis with up to two processors, delivering an optimal unit that combines high-performance, low energy consumption, improved uptime, and increased density. Leveraging Intel’s latest E5-2600 v4 processors with 21%  performance gain, plus the latest HPE 2400MHz DDR4 SmartMemory supporting up to 3 TB and up to 23%  performance increase. Manage your DL360 Gen9 Server in any IT environment by automating the most essential server lifecycle management tasks WITH OneView and iLO: deploy, update, monitor and maintain with ease. Achieve greater capacity with flexible drive configuration options with up to ten SFF, four LFF drive along with option to support up to six NVMe PCIe SSDs delivering optimal performance, capacity, and reliability to meet various customer segments and workload requirements at the right economics. HPE Persistent Memory, the world’s first Non-volatile DIMM (NVDIMM) optimized on ProLiant, offering unprecedented levels of performance for databases and analytic workloads. 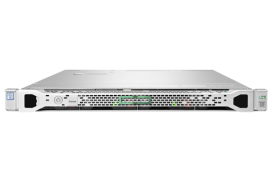 The HPE ProLiant DL360 Gen9 Server comes with a complete set of Technology Services, delivering confidence, reducing risk and helping customers realize agility and stability. HPE provides consulting to transform your infrastructure; services to deploy, migrate and support your new ProLiant Servers. HPE provides consulting advice to transform and modernize your infrastructure; services to deploy, migrate and support your new ProLiant servers and education to help you succeed quickly. Worldwide availability, service and support for customers who have multiple data centers in multiple countries.